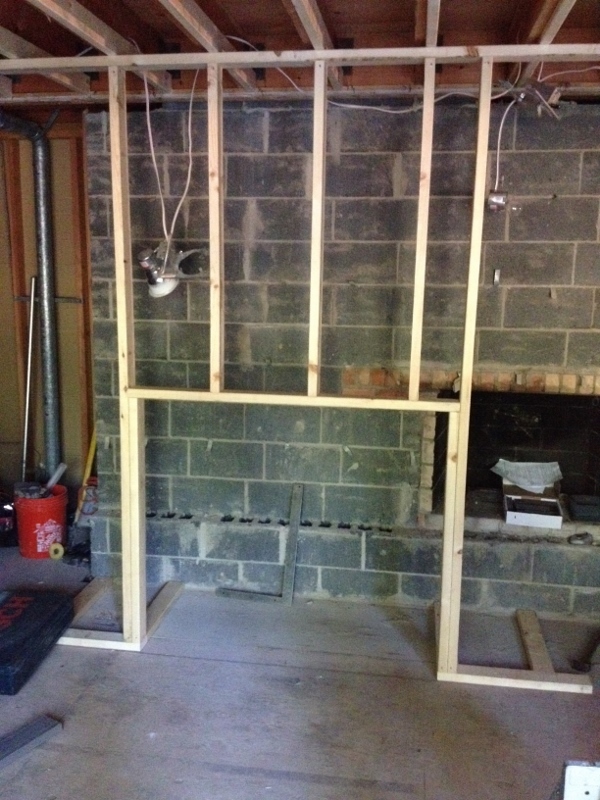 On Day Five, the fireplace was framed out. Another snafu. Behind the marbled tile and brick, they found cinder block. Fine. However, the cinder block contains the fireplace in the living room (on the other side of the wall). Taking out the bottom rows would mean screwing up the whole wall, which we didn’t want to mess with. 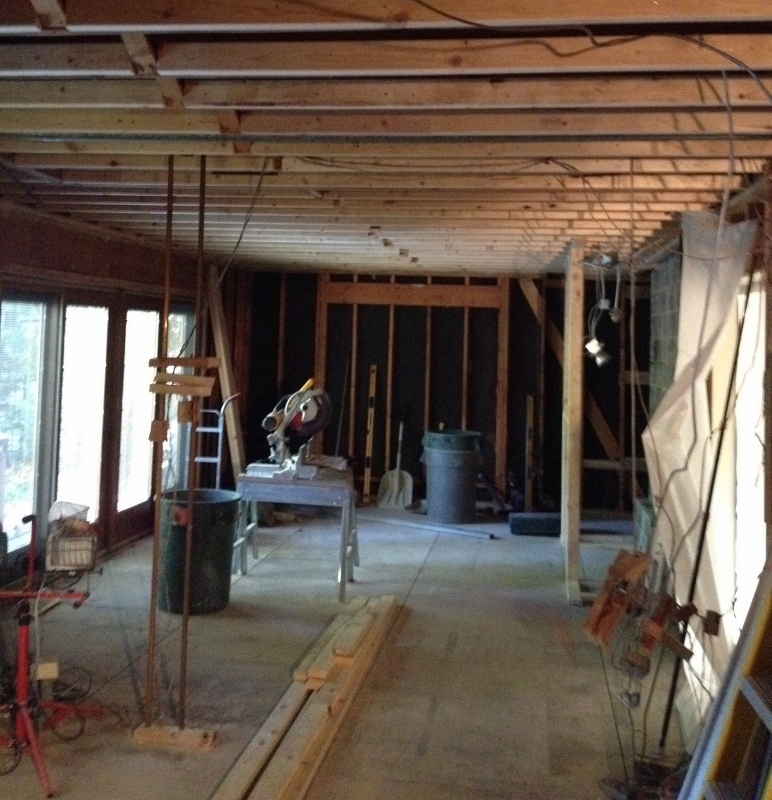 This means we’re losing about five inches of width in our already narrow family room. Super bummer. 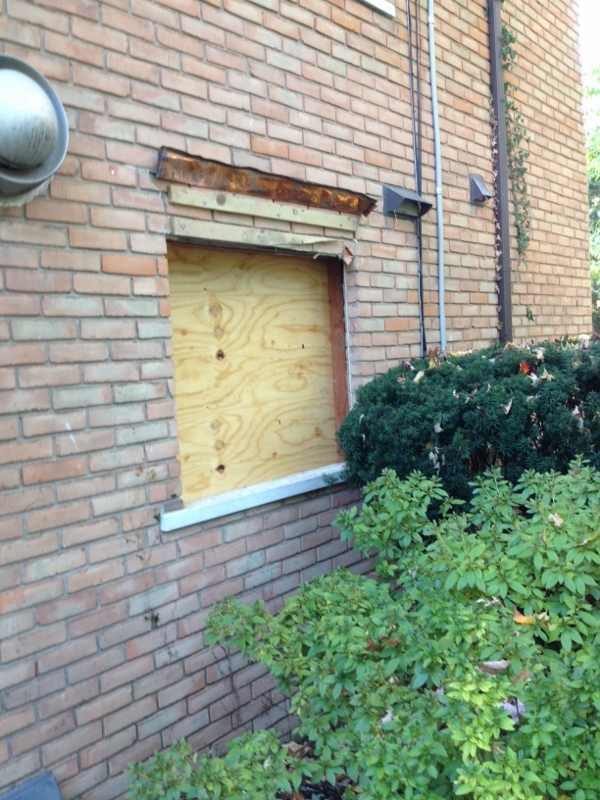 They also started the process of relocating the kitchen window. By relocating I mean moving over to the right about eight inches. Quite a big deal to gain that small of a space, but what that will do is give me more room between the sink and stove/range, and also give me a nice corner cabinet, so it was worth it. Kitchen window from the outside. I took a last-minute to San Francisco and Napa (thanks in part to my amazing husband, who shuffled his schedule around to be on kid duty). I spent Day Five (and Days Six and Seven), eating delicious food, going for walks along trails and beaches, looking at art, tasting wine and spending time with friends. It was great to get away from the noise and the chaos of the remodel. 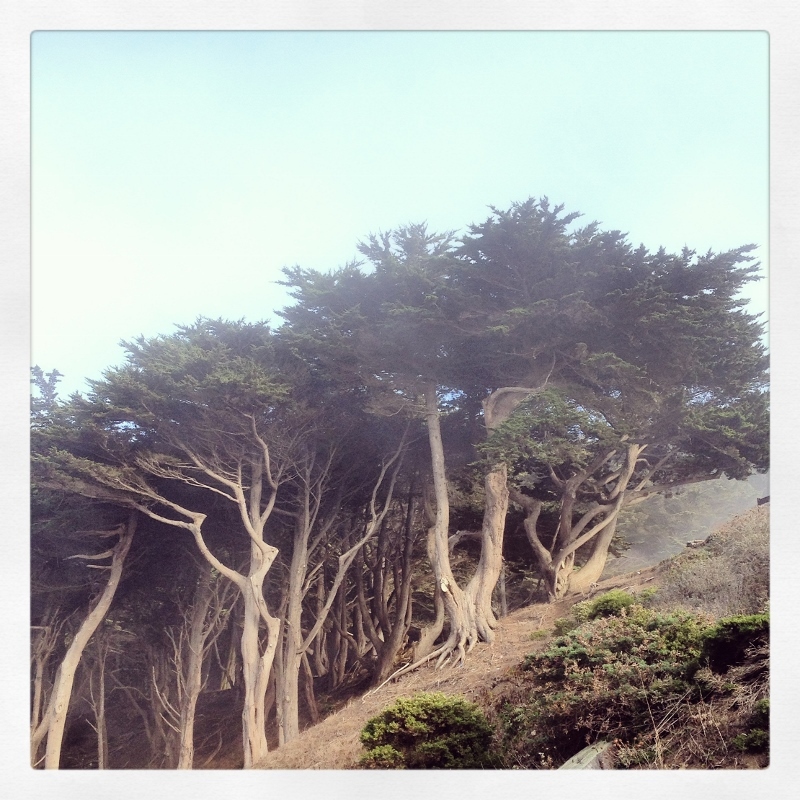 Cypress trees along the Land’s End trail and of course, the Golden Gate. I ate a solo lunch at my favorite Asian restaurant, Out the Door. 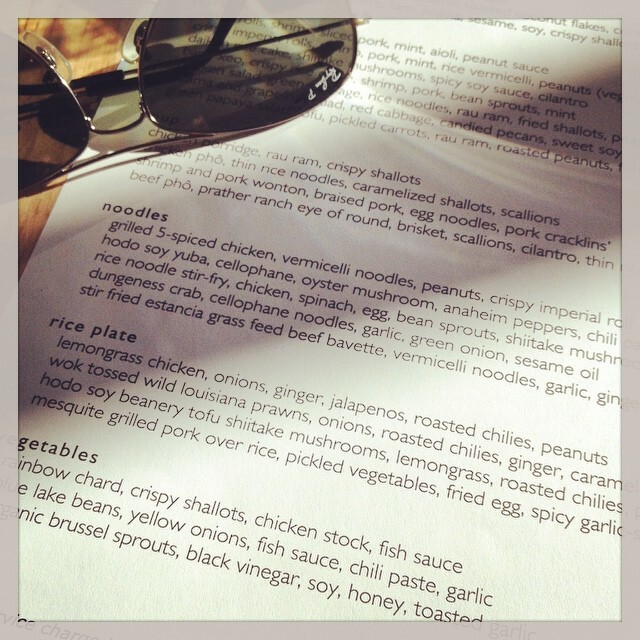 (THIS is how you do Asian, Grosse Pointe! Are you listening?). 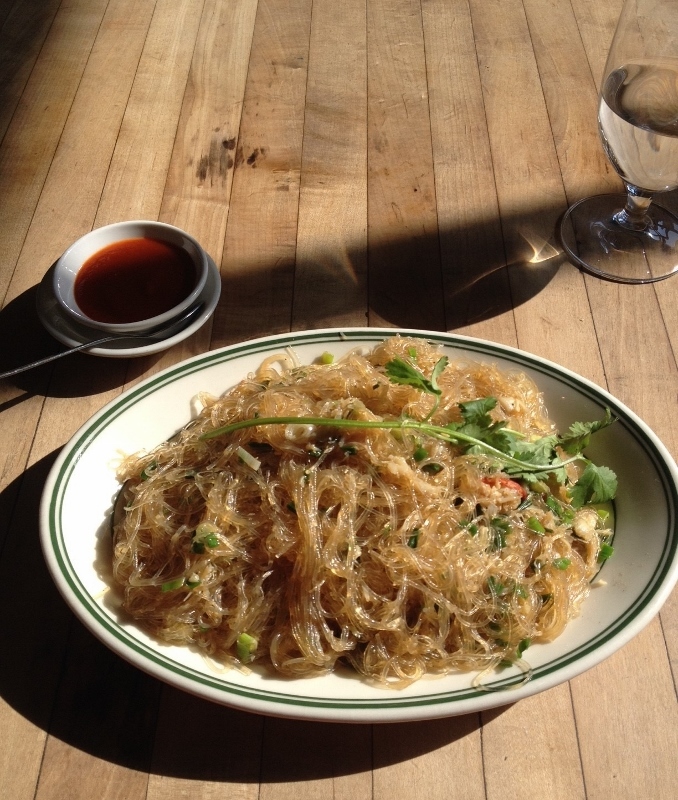 Cellophane noodles sauteed in sesame oil with garlic, scallions, Dungeness crab and cilantro. And a side of sriracha. 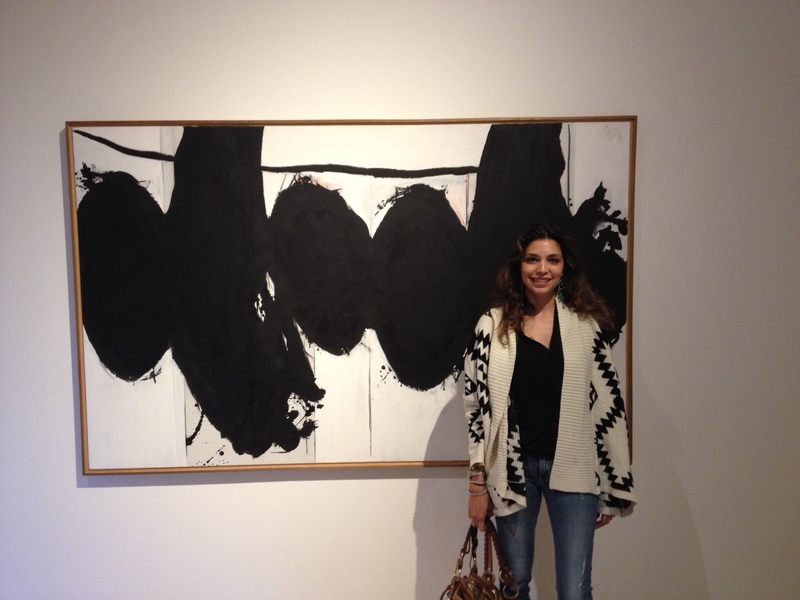 I love Robert Motherwell, and I got to see two of his paintings on this trip. I’d seen them both before, but it was fun to view them one right after the other. One was at Hess Collection winery in Napa and the other at the de Young Museum in Golden Gate Park. This entry was posted in Kitchen Remodel and tagged Home, Home Improvement, Kitchen Remodel, Motherwell, New Home, Noodles, San Francisco. Bookmark the permalink. I know how you feel. At least from my corner of the world, I visited friends in my old city, ate great food, felt so welcomed and loved, but when I got home I felt very happy to be back. Great shot of the bridge! I bet it was very difficult to be back in California! Michigan lacks any real culture except gray skies and cold weather most of the year. i’ve been torn a lot about going back lately. Baaadly. I did eat some really bad food today and it bummed me out. But the business and harshness of the city I don’t miss. Your entry today brought tears to my eyes. I’m so happy that you’re happy here in Grosse Pointe & Michigan. We love having you here! That’s soooooo nice – thank you! 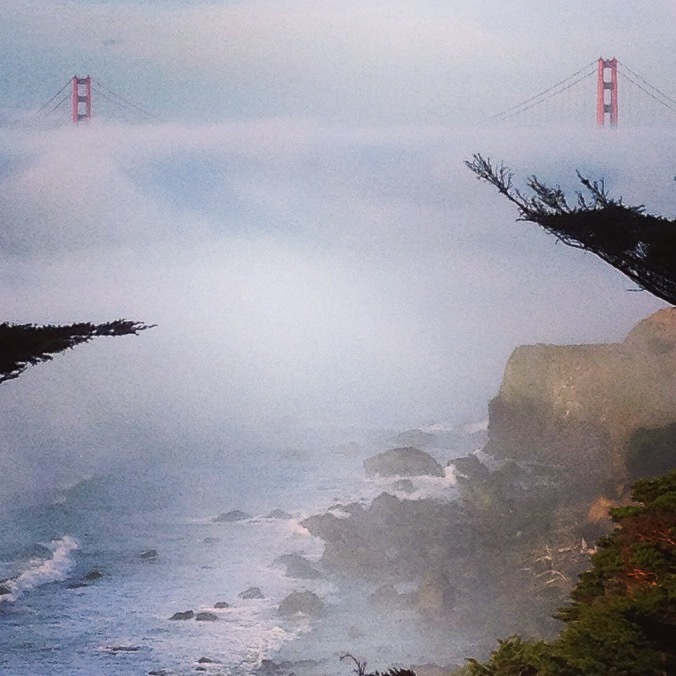 You should enter your photo of the Golden Gate Bridge in a contest – it is outstanding! Thanks! The photo doesn’t do it justice – it was gorgeous that day.